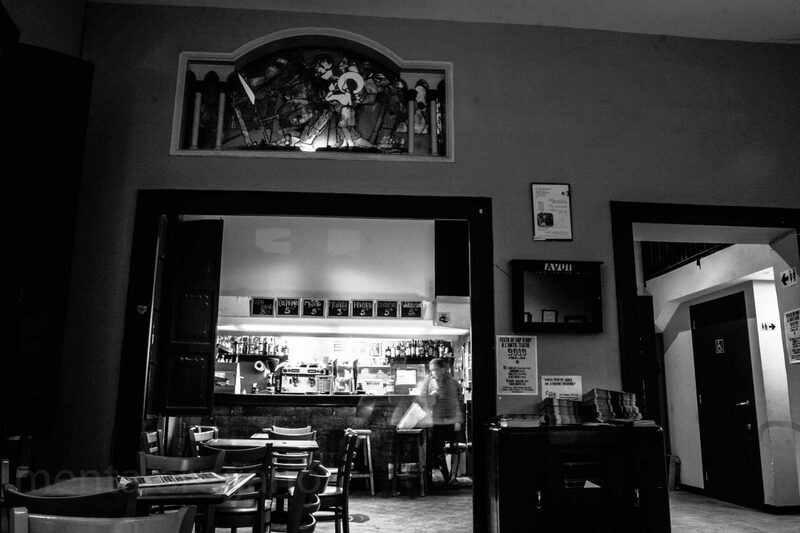 The Bar is the main source of income for the Social and Cultural Centre. All proceeds from the bar are reinvested in Antic Teatre, for the maintenance of the space, installations and full programme of activities. 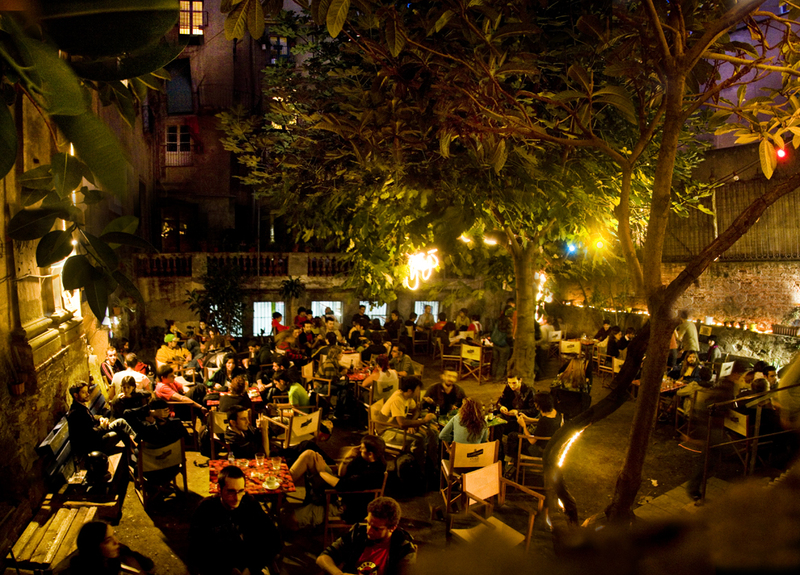 The bar has a relaxed atmosphere, with a terrace and a garden; it’s not a night club. People come here to work and to study, and may spend hours sitting with books, laptops, newspapers, etc. Bar prices are cheap, unique for the area. 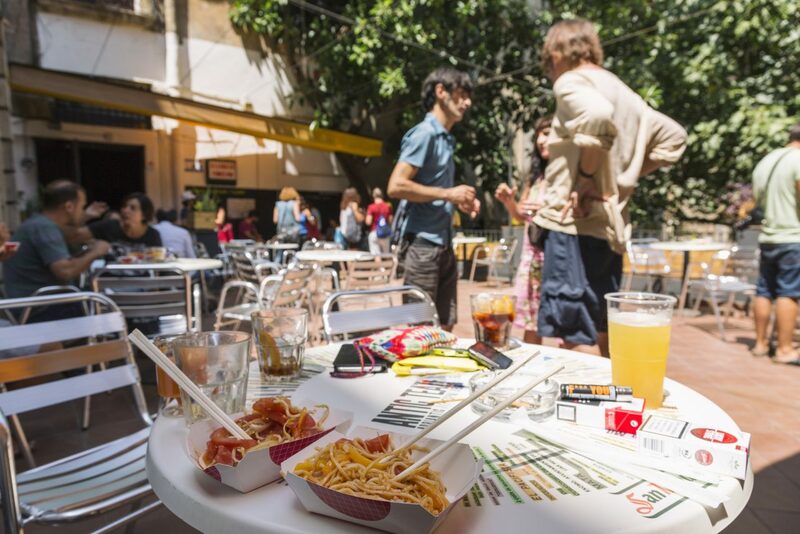 The Bar is also Antic Teatre’s social space, where artists, neighbours and other local people meet, exchange ideas, and communicate. We discuss our opening times with the local community, and respect what is decided; we don’t have any coexistence problems. Our talks with the neighbourhood are ongoing and open, partiularly on projects involving both them and us, and this helps to strengthen our ties, as evidenced by our annual open days on April 23 and October 31. 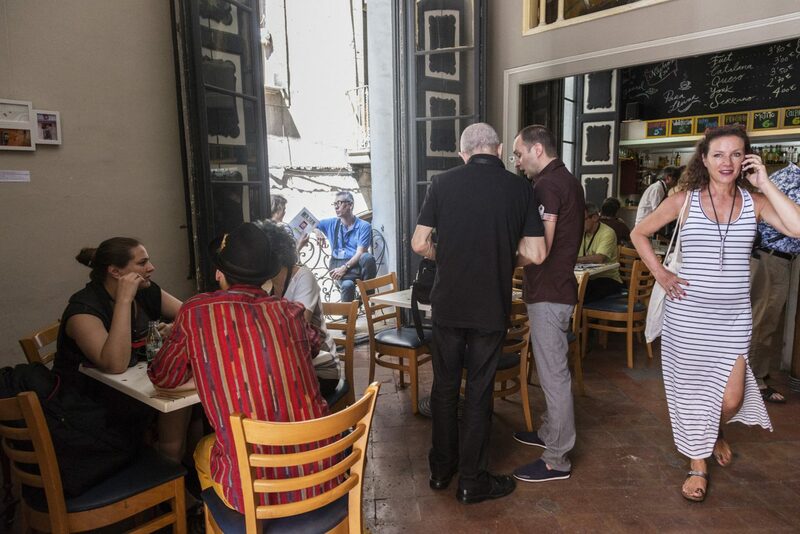 The Bar / Terrace is also a meeting place for all the people involved in the Antic Teatre project in any capacity and all related professionals. There is free wi-fi connection available.